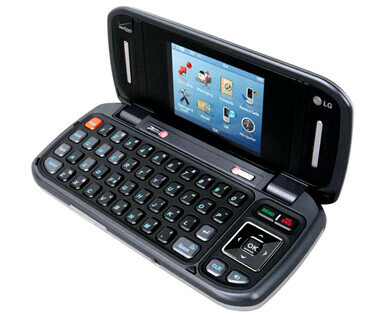 If you've been a faithful Verizon Wireless customer for the past five years, then you're probably quite familiar with the name “enV” as we've seen it become LG's most recognizable set of QWERTY focused handsets. When you look at their current lineup today, you could find text messaging oriented phones such as the LG env3 VX9200 or LG enV Touch VX11000. 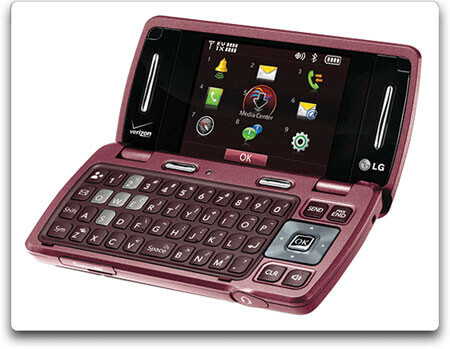 Looking back at it, the original handset to spawn the medley of devices to sport the enV moniker was blatantly lacking the popular brand name itself as it was simply referred to as the LG VX-9800 or just V.
Released back in 2005, the LG VX-9800 quickly gained some backing as it embraced the notion of shifting its focus on the growing surge of choosing text messaging as the dominant form of communication. On top of its featured clam-shell design that mimicked a laptop, it offered a decent mix of features to round out its appeal – 3G capable, 1.3-megapixel camera, Bluetooth, speaker phone, and a reasonable sized 2.25” internal display. Packing a 1.3-megapixel camera was well above the average for the time period – and the phone was also designed to mimic the look of a dedicated digital camera as well. Although it offered a decent typing experience with the QWERTY, its overall dimensions made it look and feel extremely bulky. 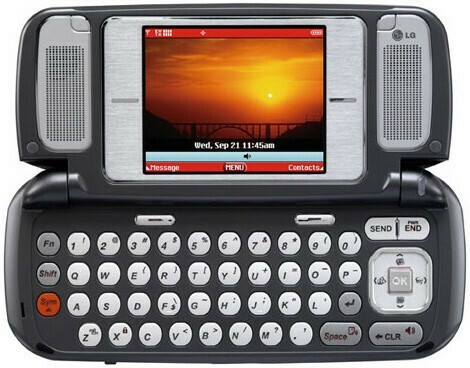 Adding to the fact that it was initially pricey after mail-in-rebates, the $299.99 on contract LG VX-9800 proved to be more than what Verizon Wireless bargained for as it undoubtedly spawned the enV series of phones with the carrier. 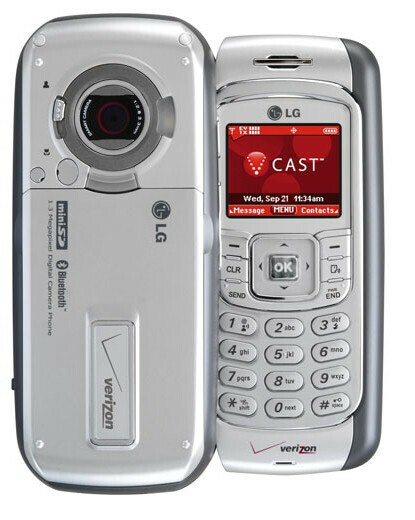 Naturally the success of the enV series can be looked back at the humble beginnings we all witnessed with the LG VX-9800 which ceremoniously brought forth the birth of one of Verizon's long running line of phones. The photos below show us the evolution of the the enV series starting with the LG VX-9800, LG enV VX9900, LG enV2 VX9100, and LG enV3 VX9200. haha i still have that phone! Oh man that takes me back. In May 2006 I upgraded from my old crappy Moto T720 to this guy and thought it was the raddest phone ever! 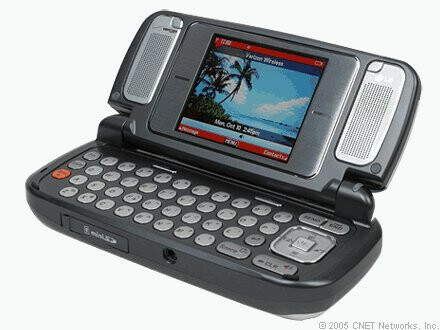 But the second the LG-VX9900 enV came out in Nov 2006 I ditched my V and got a good 16 months out of my enV before I went smartphone and never looked back. 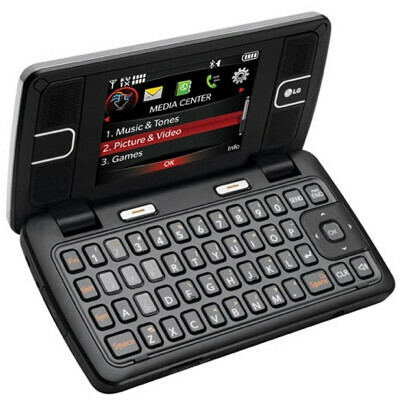 I had the V and the enV and I gotta say that this was definently one of the coolest phones out at the time. Watching formatted videos to watch on the "big", what, 2.8" screen was so much fun. The KB was sick and one thing I thought was the coolest was its online gaming... Sigh, now all I want is a big screen QWERTY to come to Tmo. Both of my best friends had the enV. Then my friend got an enV2 and now she has an enV3. My other friend has the enV touch. I used to be so jealous of them when they had the enV because my phone didn't have a qwerty keyboard. 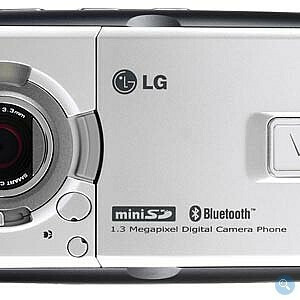 VX 9800 must have at least 5 mp camera not outdated 1.3 mp. Classic... my favorite is the enV.